Flat 7,000 off.Flat 7,000 off. 3 Pricebaba users have written their experience with Honor 9 Lite 64GB. 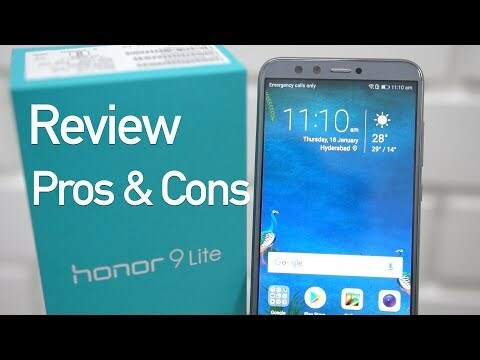 If you own Honor 9 Lite 64GB, please do leave your feedback too. Warranty Details Brand Warranty of 1 Year Available for Mobile & 6 Months for Accessories. Lowest price of Honor 9 Lite 64GB price in India starts at Rs. 9,999 Honor 9 Lite 64GB is available on Flipkart at Rs. 9,999 and on Amazon at Rs. 10,500. Prices updated on 22nd April 2019. Complete with seamless octa-core backed performance metrics that enable smooth operations, the Honor 9 Lite 64GB is preferred for its large-sized 5.65" (14.35 cm) display and high storage capacity of 64 GB. The Honor 9 Lite 64GB smartphone features a 5.65" (14.35 cm) FullView FHD+ display and an impressive screen resolution of 1080 x 2160 pixels. With well-balanced colour temperature and contrast, the device performs well in bright sunlight. The smartphone has a 13MP PDAF front camera with a 2 MP depth sensor. The smartphone features LED flash, HDR and panorama. The Honor 9 Lite 64GB also has a 13MP camera with a 2 MP depth sensor. Powered by the 2.3GHz Octa-Core Kirin 659 processor, the phone features 4 GB RAM to provide enhanced user experience at all times. Enjoy long hours of connectivity courtesy of the non-removable Li-Po 3000 mAh battery. With moderate use, it lasts up to 10 hours. Its connectivity options include 4G VoLTE support, dual-sim (hybrid), Wi-Fi, Bluetooth 4.2, 3.5mm audio jack, micro USB (Type-A). The Honor 9 Lite 64GB runs on the Android v8.0 (Oreo) operating system with EMUI 8.0.